You will need a few hours and two monitors but it can be done! The split-screen console gaming days may almost be over, but that doesn’t mean we can’t get split screen working on PC. For decades, the console has been the perfect couch co-op platform, but that’s not the case anymore. With a bit of preparation, we can actually turn any multiplayer game into split-screen on one PC. This guide will take you through every step to get split-screen running on your PC. Please read through each step carefully and make sure you read the entire ‘things you need before you get started’ section. There are a number of things you’ll need before you get started. The full list has been provided below. ASTER Multiseat is the software we will be using to turn your one PC into two separate experiences that can both receive separate inputs from different hardware. We’ll explain in detail about how to get setup with ASTER below. For now, you can visit the purchase page here and try the 30 day free trial. ASTER can be somewhat expensive, with a lifetime license costing roughly $60. A 1-year license is available for roughly $17. Sandboxie is software that’s used to multi-instance your games and platforms like Steam. It’s crucial for being able to open two games at the same time. If you plan to play a game like GTA 5 or Rust, both of which have a price tag to play, you’ll also need to have two copies of the game. Whilst technically this is a ‘split-screen’ gaming tutorial, you will still need two monitors – this way, each player will get their own screen. There is currently no way to split the screen in two using the method in this article. Finally, it’s very important you have a high end gaming PC to get smooth performance across both screens. You will need a graphics card with large VRAM because the resources will be shared between both games. A powerful CPU is also recommended. With high end specs and mid to low in-game settings, you can easily achieve a consistent high frame rate across both instances of the game. Before we begin, it’s time to get all of your hardware set up. You must find two keyboards, two mice, two monitors. You must then plug in all of this hardware into your PC. Make sure that both monitors are connected to the same graphics card. The displays do not need to be the same size or model. After you have all of your hardware plugged in, you can visit the ASTER: Multiseat download page and go through the installation process. Please note: Whilst ASTER runs without problems for the most part, you can run into potential issues. For this reason, it’s very important that you create a restore point before you begin. Thankfully, the option to do this is built into the ASTER installation wizard. 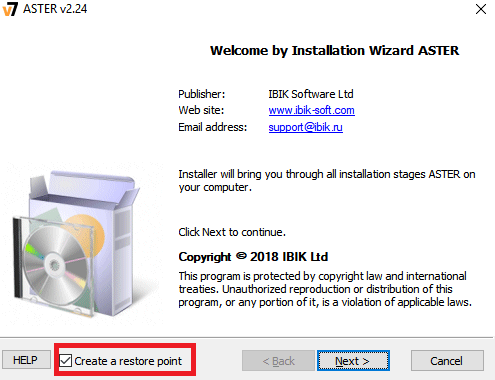 It will take a few minutes to create a restore point and install the ASTER: Multiseat software. Once it has installed, you should restart your computer. Another note: If you use an NVIDIA card, please uninstall Geforce Experience. Using Geforce Experience alongside ASTER can cause some unintended consequences including incompatibility issues or system crashes. 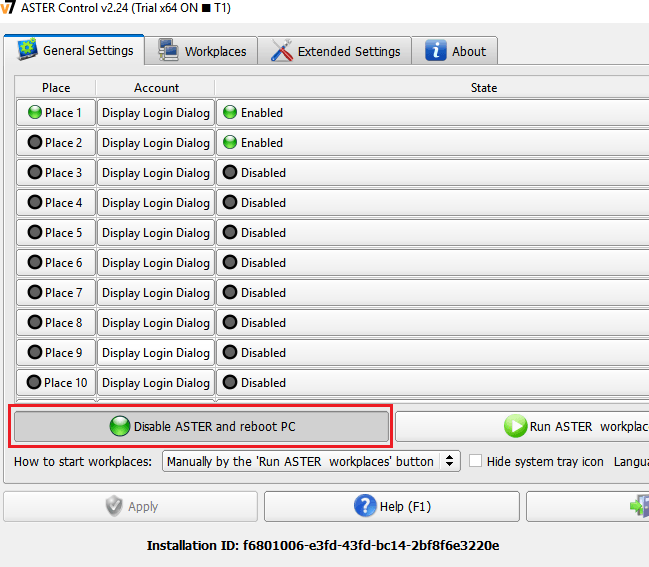 After you have restarted your PC, open ASTER: Multiseat and follow the steps in this section. When you first open, you’ll be asked to perform an update. 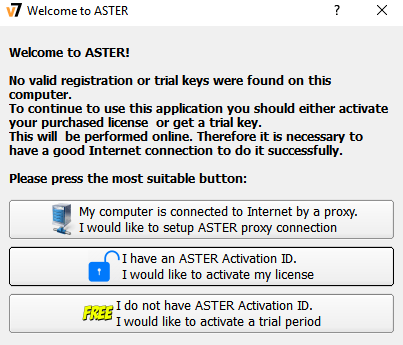 Click OK.
Next, either click to activate your license if you purchased ASTER, or click I do not have an ASTER activation ID to start the trial process. You will now be ready to take the first steps to getting setup with Aster. First, let’s get you familiarized with the ASTER UI layout. On the General Settings tab, you’ll see your Places – this is each workplace that will be created on your PC once ASTER starts up. By default, you’ll have 2 places enabled and both will have Display Login Dialog. The default settings here do not need to be changed whatsoever. Next, take a look at the Workplaces tab. This is the tab that will require most of your attention from within ASTER. 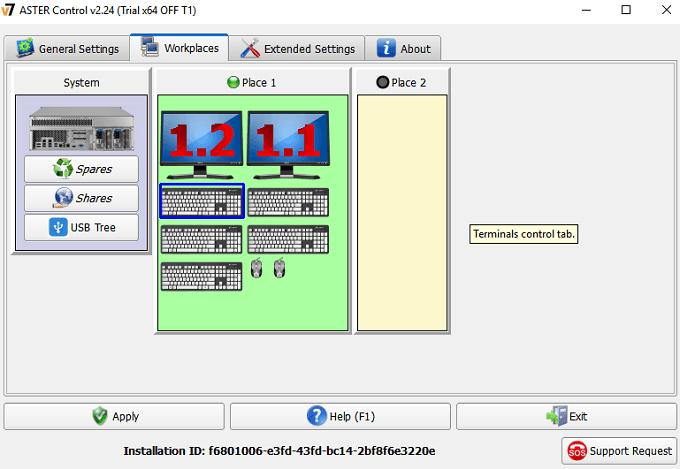 Once ASTER starts up, this will be where you’ll control which workplace has control of which hardware. Each workplace is essentially a separate instance of Windows 10 that will run alongside each other. Unlike other methods, like a virtual machine, ASTER does an excellent job at evenly splitting performance power between both workplaces evenly. This is what makes playing two instances of high end games like GTA 5 possible. As you can see from the image above, there are multiple different hardware ‘nodes’ that have been detected. You’ll see keyboards, mice, monitors, and also separate audio hardware here. Your job will be to move one keyboard and mouse to Place 2, alongside one monitor. Place 2 will be used as Player 2’s hardware. You can determine which keyboard and mouse is which by using them. When you type on a keyboard or move a mouse, you’ll see the corresponding graphic be highlighted with a blue square on ASTER. Once you’ve determined which mouse and keyboard you’d like for player 2, drag and drop the corresponding graphics over to Place 2. You should also move over player 2’s monitor. This should be 1.2 by default. 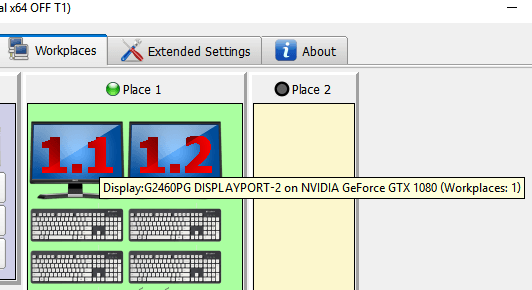 If you’re unsure, you can hover your mouse over each monitor graphic to see its name. When you drag over a monitor, you may get a warning message about sharing monitors, but you can ignore that. You should now have something that looks like the image below. There may be excess keyboard graphics in place 1, but you can ignore those. They are likely to be other USB ports that are in use by other hardware. Now that you have your mouse and keyboards in the right place, you can click Apply at the bottom left to save changes. A notice message will pop up telling you that you need to enable ASTER workplaces on the general tab. Click on the General Settings tab. I’d highly suggest for you to click on the How to start workplaces dropdown box and select Manually by the ‘Run ASTER workplaces’ button. This will ensure that ASTER will only run manually and you won’t run into any issues when trying to run your PC without ASTER. After, click Apply to save the settings. 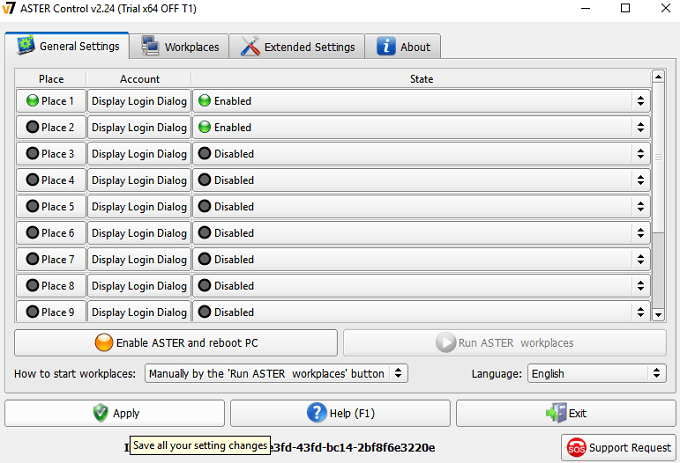 Once you are ready to run your split screen PC, you can click Enable ASTER and reboot PC. 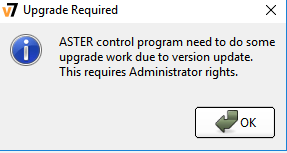 Please note that every time you want to enable or disable ASTER, it will require a restart via the ASTER general settings tab. 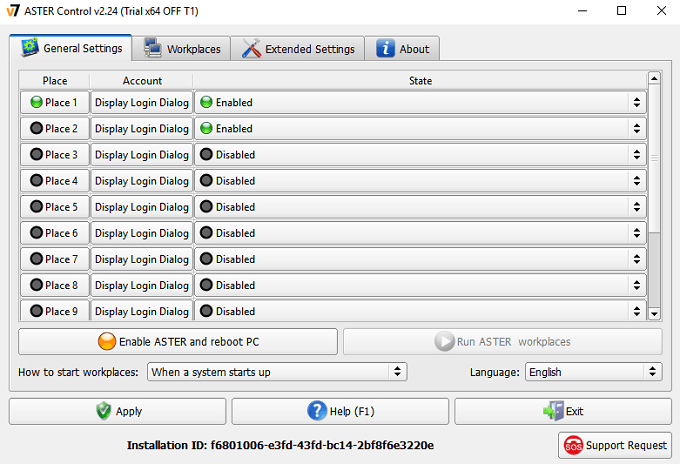 Once your PC has been restarted, open ASTER again. You should now see that the general settings tab has changed slightly. The tab at the bottom left has been changed to show ASTER is now active. You can now click the Run ASTER workplaces button. This will split your PC into the separate workplaces you had set up before you restarted. You should now notice that your second monitor has been switched on. It will ask you log in to Windows. You now have both of your PC instances set up. It’s time to start playing some games. Now that you have Aster up and running, you need to multi-instance Steam with Sandboxie. You can download Sandboxie for free here. Before we go through Sandboxie’s steps, you must navigate to your Steam folder on your PC. It should be C:\Program Files (x86)\Steam by default. After that, right click and copy your SteamApps folder. 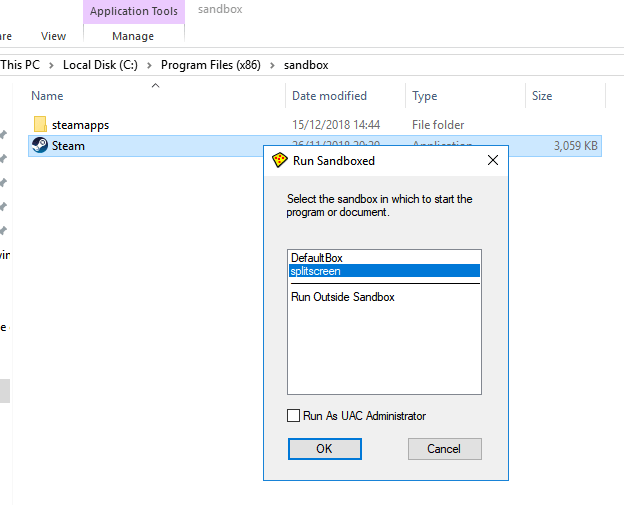 Next, go up one level to C:\Program Files (x86)\ and create a new folder and call it Sandbox. Open the folder and right click > paste. This will take some time – it will be copying every game you have installed on Steam. If you have an older HDD and dozens of games installed, this could take many hours. For one last step, right click on Steam.exe in the C:\Program Files (x86)\Steam folder and click Copy. 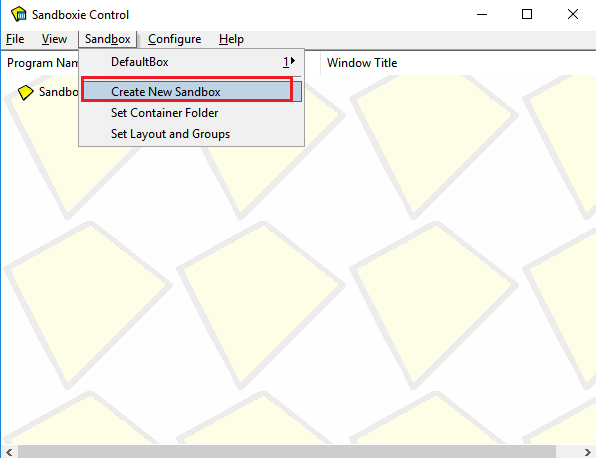 Navigate to the Sandbox folder and right click > paste. After, your new folder should look somewhat like this. 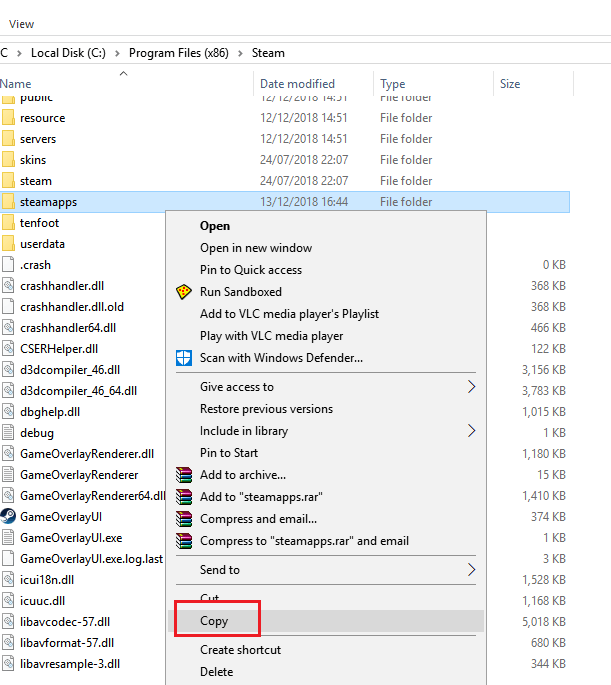 This step is important because like every other aspect of this tutorial, you need two copies of Steam’s file so that they can both be accessed at the same time. 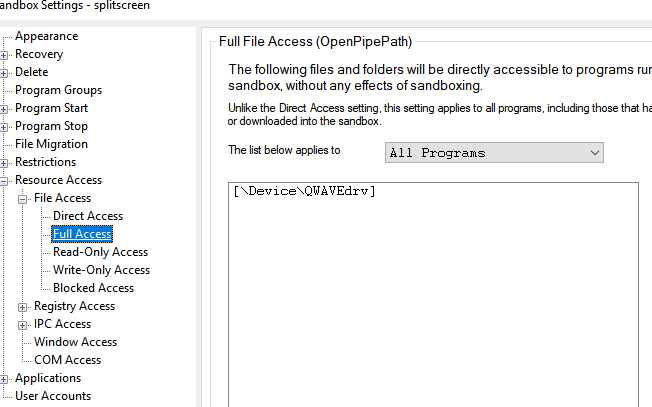 Next, open the Sandboxie installer and go through the Sandboxie installation wizard. Once complete, run Sandboxie. A tutorial will start, but you can simply close that. I’ll take you through the steps necessary to get off the ground. In Sandboxie, click Sandbox at the top. Next, click Create new Sandbox. 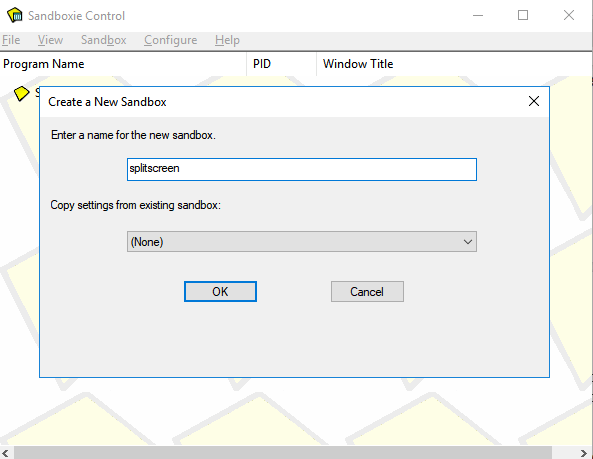 Give the new Sandbox a name, then press OK. You can choose any name for your Sandbox, but make sure you remember it. We’ve picked ‘splitscreen’. You will now see your new Sandbox appear in the listing on the Sandboxie interface. 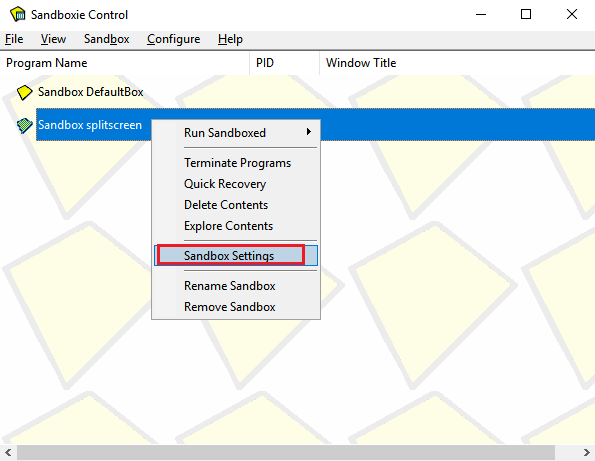 Right click it and click Sandbox Settings. On the settings page, click the ‘+’ next to the Resource Access option. After, click the ‘+’ next to File Access. Finally, click Full Access. This is what you should see. Click the Ad’ button and then navigate to the previously created sandbox folder. After click OK, Apply, then OK. Close down any pop-up notification if it appears. At any point, player 2 can now go to the Sandbox folder and right click Steam and click Run Sandboxed. Choose the option you created earlier. For us, it was splitscreen. Click Run as UAC Administrator, then click OK. Player 2 will now have their own sandboxed version of Steam where they can log into their own account and open any games they own. Player 1 can also do the same and open their own games. You can now go ahead as usual and open any games to play together, including titles like GTA 5, ARK: Survival Evolved, Counter Strike, Dota 2, and more. 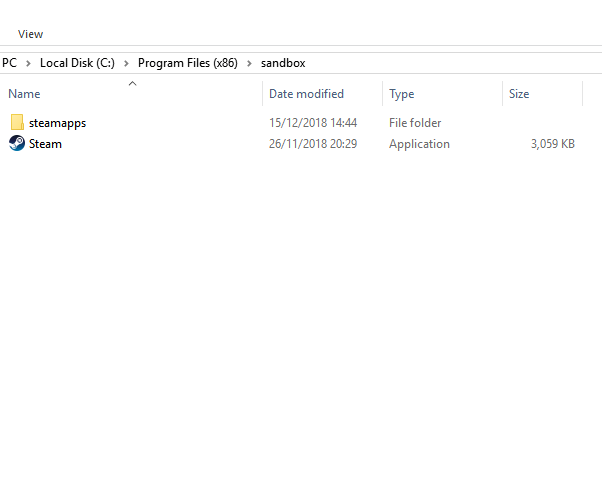 For games on other launchers, like Battle.Net or Epic Games, you must use the same Sandboxie steps above but for the files and folders for the other launchers. Not all games will play simultaneously. For example, games with Easy Anti-cheat will not allow two instances at once. Performance will also be somewhat limited, depending on your hardware. You need to be careful with the way each game uses your system resources, because it can cause either workplace to crawl to a slow. If one workplace has poor performance, try lowering the in-game settings on the other workplace. Whilst there is no confirmation from Valve, some users of this method are concerned that it may cause an unfair VAC ban when playing games like Counter Strike and Dota 2. We’d suggest using this tool at your own risk. Finally, make sure you click to disable ASTER before you turn off your PC. Have any questions about this process? If you do, please let me know and I’ll answer your queries in the comments section.